The moon gardening calendar is suitable for Australia and the Southern Hemisphere. Be in Harmony with Mother Nature. Only posted to Australia and New Zealand. 1 year, 12 months, 4 seasons! 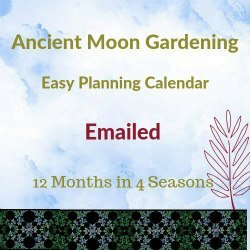 Lunar gardening calendar for when to plant, sow & prune your garden for growth, harvest, weed, feed, spray, maintain & rest. You will receive each season approximately 2 weeks before the start of the season. Winter contains June July and August. Thank you… and may your garden and life be beautiful and abundant. 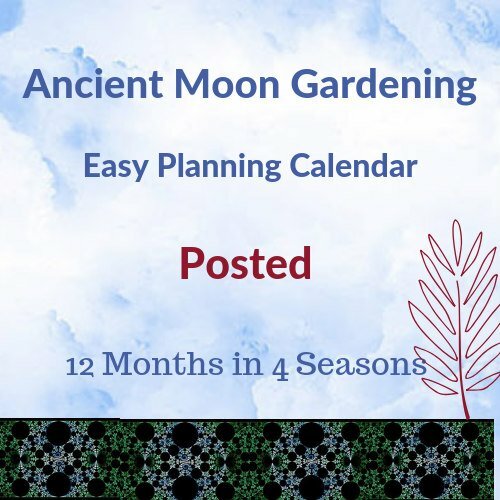 The Ancient Moon Gardening Easy Planning Calendar is a timetable for productive crops and beautiful gardens in harmony with Mother Nature.